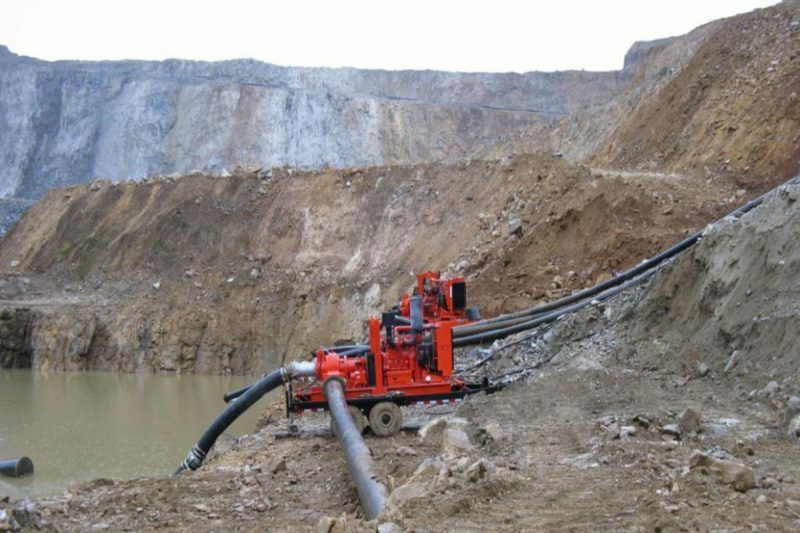 Why you need a dewatering pump before mining or construction. Dewatering is extremely vital when constructing buildings, powerhouse and dams. Having firm and sound working conditions is indispensable. These structures not only require a dry base for their foundations but also a good water-table-stability in the girth. 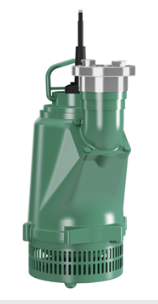 Although dewatering can be done by techniques such as gravity flow and electro-osmosis, the use of dewatering pumps is the most convenient, efficient and fastest in yielding satisfactory results. The process is most useful in areas where the foundation of a building to be constructed is below the water table level. Dewatering activities must be done properly to avoid eroding the soil on the construction site. Normally, dewatering is done by pumping or evaporation before excavation. 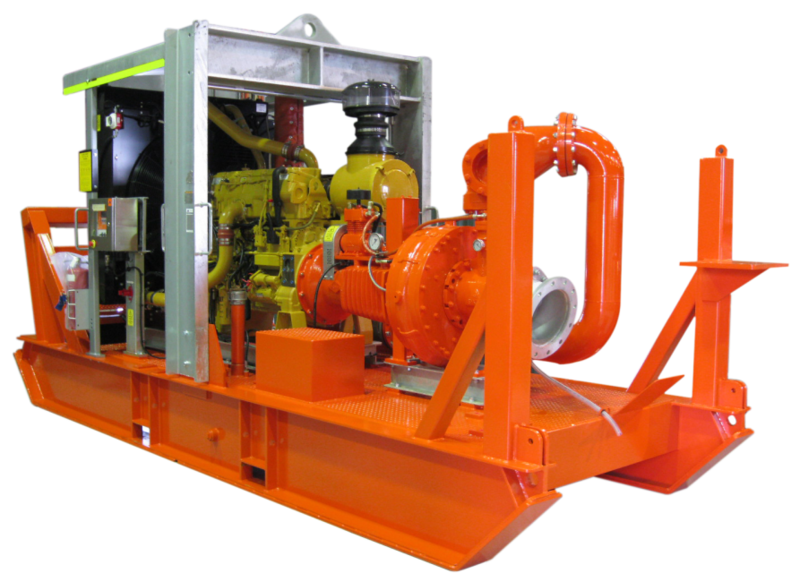 The type of dewatering equipment to be used will depend on the corrosion potential of the material. 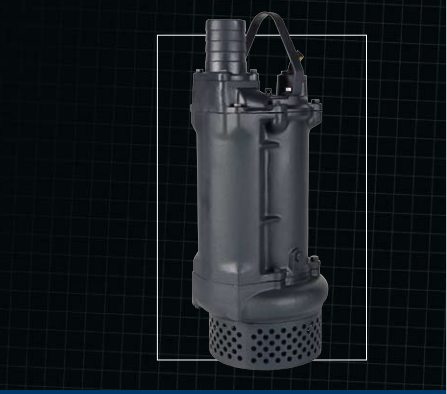 It involves the use of a submersible pump or vertical turbine pump. Minor amount of water can always be pumped out by creating a sump. 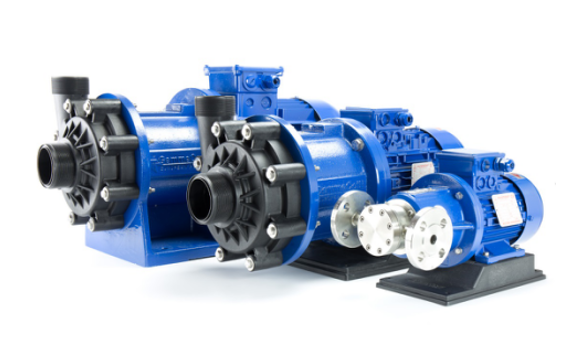 Colin Adams, the Managing director of Pump Technology, the official sub-Saharan distributor of Grindex pumps Integrated Pump Technology says that one should consider factors such as performance and reliability of the pumps in its applications. He further adds it important to understand the application of the pump and its specific requirements before purchasing it. According to World Market for Pumps, the dewatering pumps market in Africa is at an approximate of US $50m as per their 2014 report. This means that Africa has a high potential for dewatering pumps due to its developing state. Ebara pumps sales manager, Herman Meets describes the African pumping market a competitive market. Herman highlights that there is many variables to consider when offering pumps to this market. In order to make an informed and correct pump selection all factors pertaining to the job at hand must be considered. Hennie van Niekerk, Regional Technical Advisor (PSP/PUC) of Putzmeister, a South African company that has engaged in a number of dewatering projects including back fill application and alternative fuel projects points out that without dewatering, effective production is not possible. He further adds that up to date, the African market use centrifugal pump during dewatering process. The process however according to him process can be done much more effective in cutting energy and maintenance cost by the use of positive displacement pumps. Some surface excavations are jeopardized due to the level of water table. Water tables can become elevated when they receive more water than they drain off. This can be from unusually high amounts of rain, or excess water from higher elevations. Dewatering is carried out to permit excavation, mining and construction within a dry environment as the water table is lowered. This in turn prevents ground subsidence. Peter Breen, AllightSykes EGM sales officer; an actively involved pump company in African projects such as the Glencore Mines MUMI and KCC in the Katanga Province DRC and FQML and Barric Lumwana Mine operations in the Zambian Copper belt points out that rainy seasons can affect mining operations. Peter further says that in countries such as DRC, Zambia and West Africa rainfall is high affecting mining operations ability to operate. He adds that dewatering these isolated large mining operations is extremely important to the ongoing operation and keeping expensive equipment above the water line. Draining of the underground water plays a vital role in drying up the soil, firming the soil and making it suitable for construction. Dry soil stabilizes the landscape and reduces risk of sediments being carried off by water. If not suitably managed and controlled, groundwater can cause problems for excavation and basement construction. These problems can range from nuisance seepage that reduce the efficiency of construction operations, through to major inflows that can result in instability, inundation and even collapse of the excavation. The excavation may flood as a result of groundwater inflows from water-bearing layers of soil or rock. Kellie West, the Marketing Coordinator for Finish Thompson; a pump manufacturer popular with the mining companies in South Africa, Morocco, Algeria, Egypt and many more African states agrees that its vital to remove water before drilling or mining from flooded areas. High pore pressures occur in soils composed of fine silts or clay’s. Since these soils have a very low permeability, vacuum-assisted dewatering scheme, such as ejector wells, or vacuum-sealed deep wells may serve to draw water into a well for abstraction. Wet or muddy ground produces unsafe working conditions for workers. The wet soil can trip work. Water can also obstruct certain tasks. Its presence can also damage construction equipment or impede operations. Johnston Dan of SANDPIPER says that safety for the miner’s ranks first before any construction or mining activity. Dewatering removes the excess water hence preventing flooding and clogging of drainage while cutting down risk of mosquitoes and diseases. Filtered water can also be reused on the site itself or for other purposes. This saves on the cost of having to use water from other sources such as rivers. All of this while lowering the cost of the labor and transportation of fresh water to the job site. Mr. Meets from Ebara pumps adds to this by stating that dewatering before any construction or mining activity helps in displacing water in other areas for use. Sandro Sadao Odagima , IMBIL’s export supervisor; a Brazilian pump manufacturing company that has mega projects in Zimbabwe, Senegal, Congo and Nigeria attributes climate and vegetation to the adaptation of dewatering pumps in Africa. He points out that a versatile, high efficiency, size and movement, safe and trouble-free pump is essential in the agricultural irrigation technology. “Modern agricultural irrigation is widely used for water distribution. Farmers can’t rely on past practices.” According to him, this gives dewatering pump a great importance. The market has a price sensitive nature and this is becoming a strenuous factor on overall revenue growth of the global market. China has emerged as a major producer of low cost pumps thus disrupting the market. To overcome this, international pump vendors differentiate their products through additional services and integrating this to advanced technologies. Some of the additional services include customization of the products. Mr. Adams, Grindex official distributor adds that additional services like offering extends and providing technical and aftermarket support to end-users differentiates one in the industry. Increasing the warranty period to its customers affirms confidence to the customers of pumps one manufactures. Thomas Nisi, Marketing Assistant at GemmeCotti, an Italian pump manufacturer with 30 years of experience in the pumping industry both locally and globally, emphasized on the need to customize pumping products in line with its applications. He adds that every aspect of the pump from the design to the material is linked to a constant searching for certificated quality. In terms of digitization Niren Rohanlal, Grundfos pumps’ Lead Business Development Manager of Sub Saharan Africa notes that there are a number of smart controls and monitoring systems to ensure optimal performance and energy savings for dewatering pumping systems. 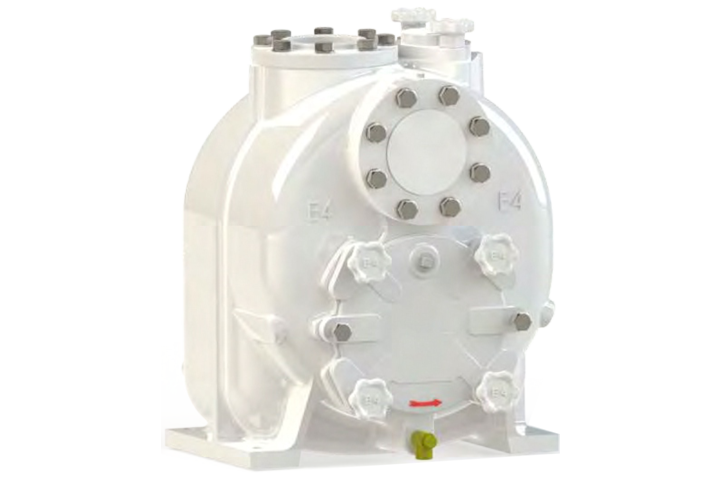 Variable speed drive controls are being used more and more to control dewatering pumps, together with motor protection and remote management systems. Nevertheless Mr. Paul Vermaak of SANDPIPER from the U.S points out that technology trends such as their AOD technology is a proven technology that is most efficient and reliable in the industry. “The AOD can handle, Running Dry and Submersible if flooding occurs, No mechanical Seals, No reliance on alignment or rotating bearings, completely portable, just ‘Plug and play,’ he adds. Buyers across the world prefer less noisy products in comparison to the noisy ones. Although, quieter equipment are more expensive because of their in built sound proofing mechanisms, consumers still buy the products. Quieter equipment is more beneficial and economical over a period of time. Excellent content and world references in pumping. Africa is growing too much and investing in equipment from companies that already own this technology increases the speed of this growth. Thank you for explaining the importance of having a dewatering pump for mining or construction. It’s good to know this is usually done in a dry environment. I’m kind of interested to learn how dry the environment should be to need dewatering.